Are You Waking Up Feeling Refreshed? Staring at the ceiling at 2:30 am, unable to sleep, is usually low on people’s list of favourite pastimes. Affecting anyone at any age, insomnia (difficulties falling asleep or staying asleep) and/or waking unrefreshed can be some people’s reality. Research shows that adults who get fewer than seven hours..
CNHC Kitchen – Who Loves Lemon? Who LOVES lemon? We Do Try these amazing Lemon infused balls!!! 1 1/2 cups almond meal 1/2 cup shredded coconut 3 tablespoons rice malt syrup zest 1 lemon vanilla 1/2 cup melted coconut oil Combine all your ingredients in a bowl and mix well (you can pop everything in a food processor and blitz it..
Life=Stress, Stress=Life Living in this day and age, stress is a normal part of modern life. You will be exposed to some sort of stress every day, whether it’s waking up to an alarm, driving the car, paying bills, working, meeting deadlines – all of these can take their toll. 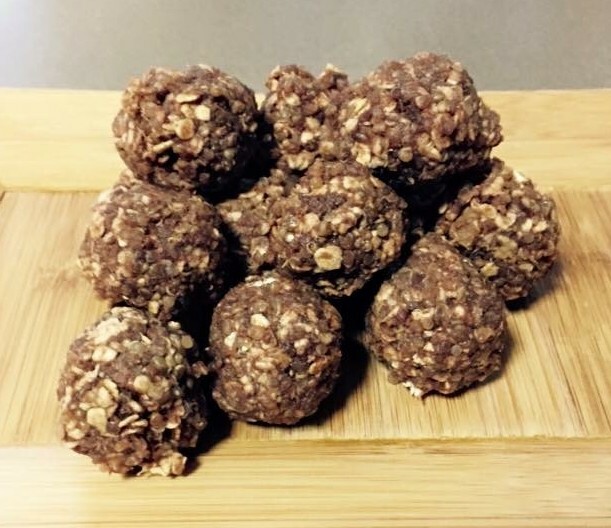 Sometimes stress can be so..
CNHC KITCHEN Chocolate Power Balls It’s a little bit of this with a little bit of that But pretty much 1 cup cooked quinoa 1tbs raw cacao 2tbs rice malt syrup Coconut oil 1/2 cup oats Chia seeds 1tbs almond butter Mix it all up and refrigerate to harden a little and then roll. For..
Are you sick of being sick? Disease causing viruses or bacteria can enter your body simply by breathing or eating! Fortunately, only a few of these, particularly viral, ‘pathogens’ result in a cold or flu because you are equipped with an immune system specifically designed to fight off unwanted invaders. That said, are you one.. Sadness is a normal human emotion. We’ve all experienced it and we all will again. Sadness is usually triggered by a difficult, hurtful, challenging, or disappointing event, experience, or situation. In other words, we tend to feel sad about something. This also means that when that something changes, when our emotional hurt fades, when we’ve adjusted or.. Here are 8 of the most common myths and realities about grief. Knowledge of these issues is extremely helpful for both the bereaved and those wishing to help them. Myth #1. “It has been a year since your spouse died. Don’t you think you should be dating by now?” Reality. It is impossible to simply.. Both Heat and Ice have a role to play in the management of pain relief, however they have different indications for use. So when should you use them? ICE: Ice is most effectively used in the initial management of soft tissue injuries. Many people would have heard of the R.I.C.E (or R.I.C.E) regime. This stands..
Inflammation can be a good thing Everyone has experienced the remarkable phenomenon of acute inflammation – a sprained ankle, splinter, or cut – and as a result have witnessed the affected area turn red, puffy and hot as your immune system rushes to your aid to assess the injury and fight any pathogen that might..